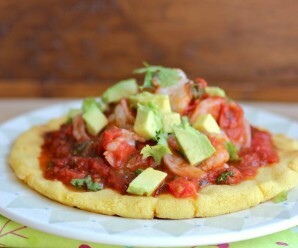 Guest posting today and sharing her delicious recipe is Sarah Naveen from “Vazhayila”. Sarah has a beautiful blog filled with Indian recipes. I have many childhood memories associated with this particular dish. My grand mom used to make it every time I visited her during summer vacation. This is a very traditional and everyday dish from my native place called Kerala, located at the southern most tip of India. 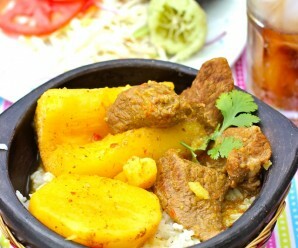 It is a place that is rich in the arts and is also rich in a variety of flavorful foods. I guarantee that the aroma of this “Prawn and Mango” in creamy coconut milk is enough to get even the soundest of sleepers out of bed!!! • In a coffee grinder or mortar and pestle , crush ginger, garlic and green chillies. • Heat oil in a pan and add mustard seeds. When they pop, add diced onion, crushed ginger, garlic and green chilies. • Make a paste with chili, coriander and turmeric powder by adding a little water and add to the pan. Combine it well. • Add sliced mango pieces, salt and toss it for a minute. 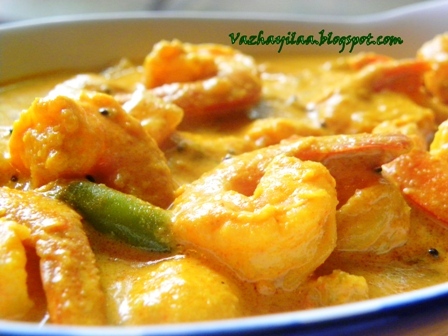 • Pour thin coconut milk to the pan and add prawns. Mix it well. • Cover it with a lid and let it cook on a medium flame for 6-7 minutes. 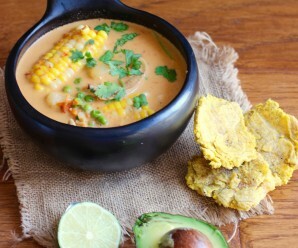 • Remove the lid, add thick coconut milk and curry leaves and mix it well. • Let it stand on fire for 2 minutes and remove. To make thin coconut milk, take 1/2 cup of the canned coconut milk and dilute it with 1/2 cup of water. Hola Erica! Que receta más original y realmente esa combinación de sabores tienen que darle al plato un toque muy especial. Ahora mismo te copio la receta que quiero hacerla pronto. Gracias. this sounds just mouth watering and looks it too! Oh Erica, your posting are always deliciously gorgeous! How I wish I could taste them. This sounds so much like a dish commonly cooked in the southern parts of india. I guess it is a recipe of southern India. so fulfilling with a bowl of white rice. 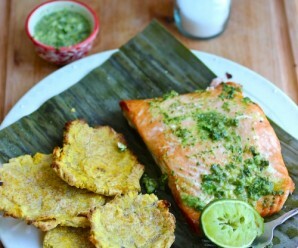 oh my, I am gearing up for my week of Columbian cooking because the fantastic recipes just keep coming.